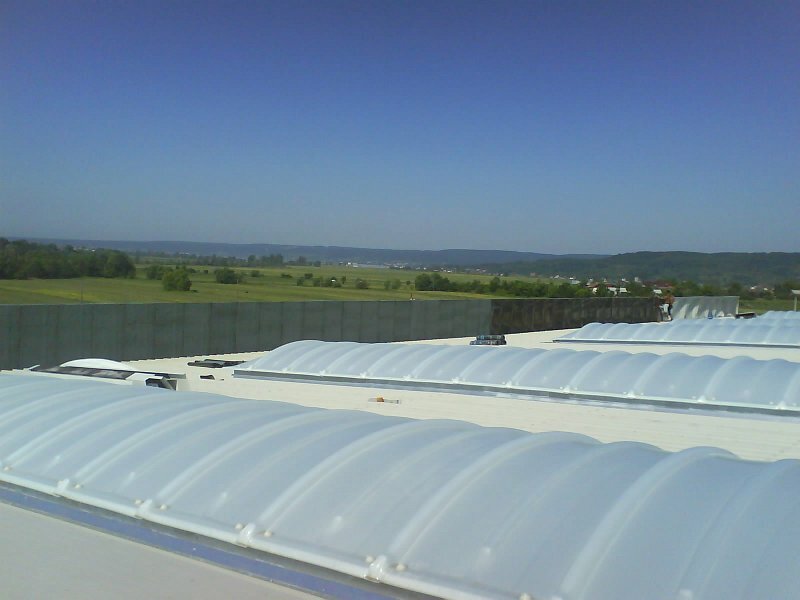 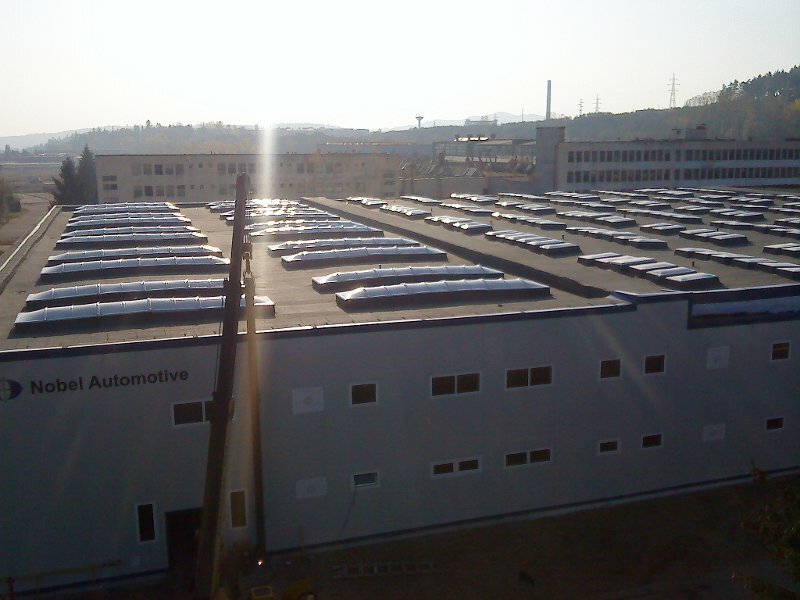 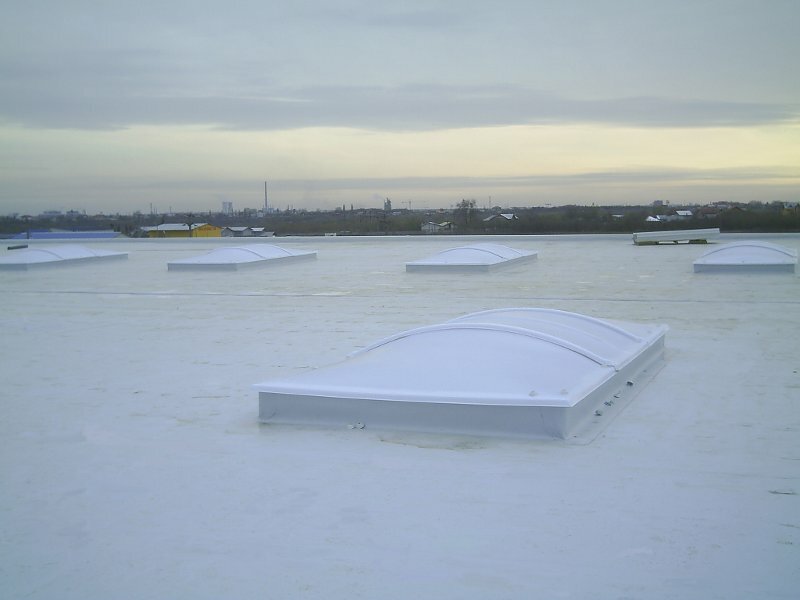 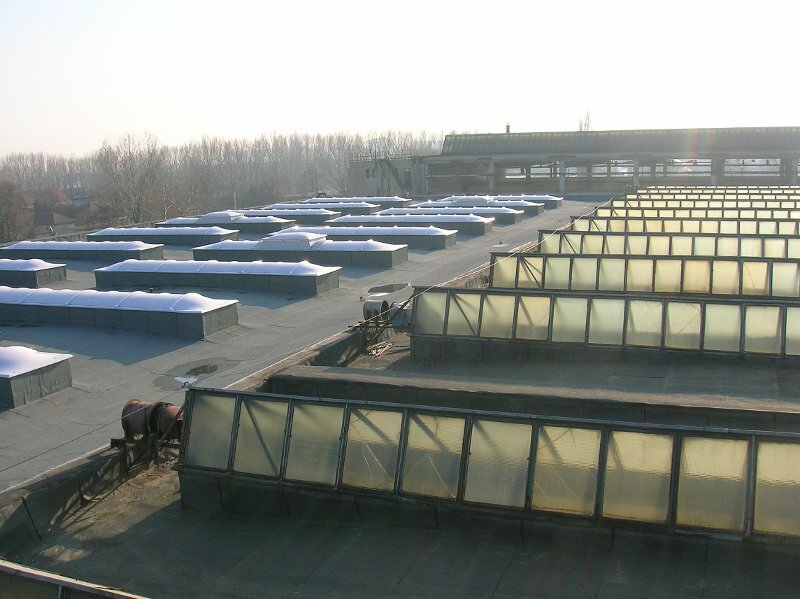 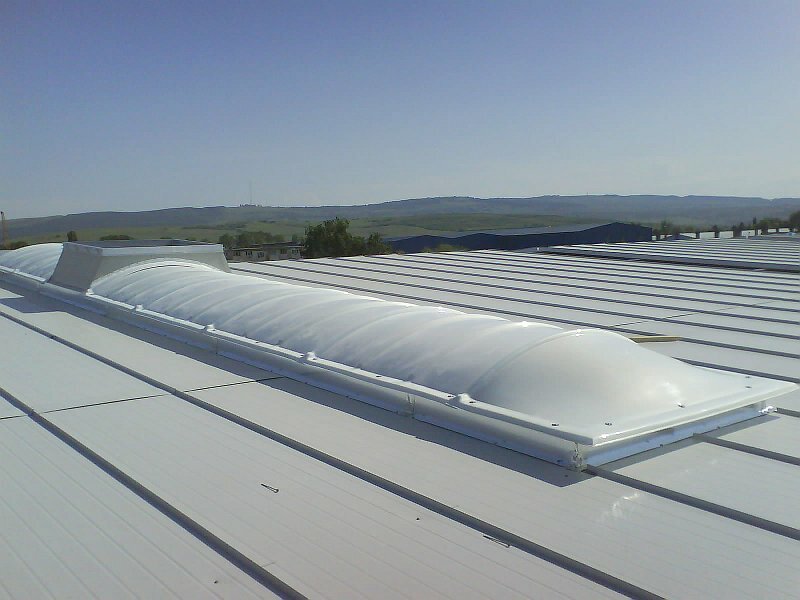 Skylights are an optimal solution and welcome to any type of industrial construction, to ensure an optimal brightness for developing any type of activity within it. 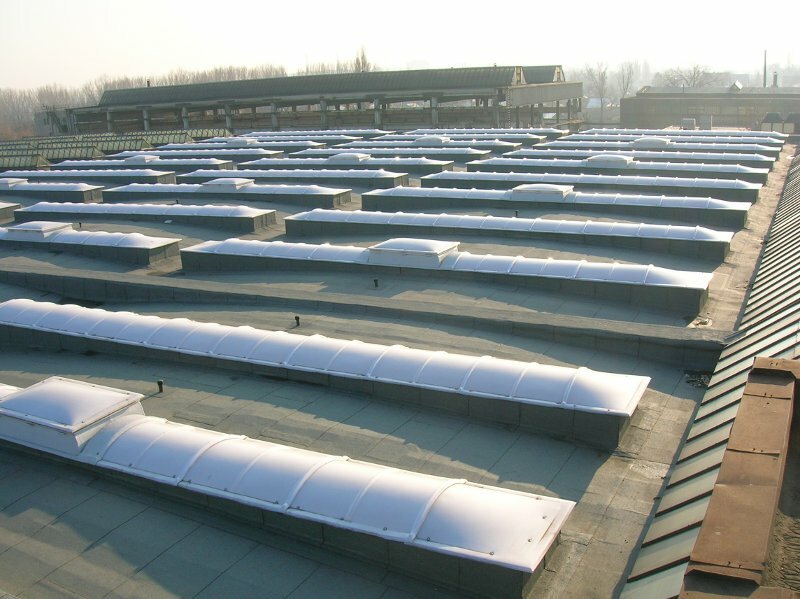 By choosing this solution will benefit from significant savings in electricity used for lighting, and the advantage of using natural light , which is a healthier solution. 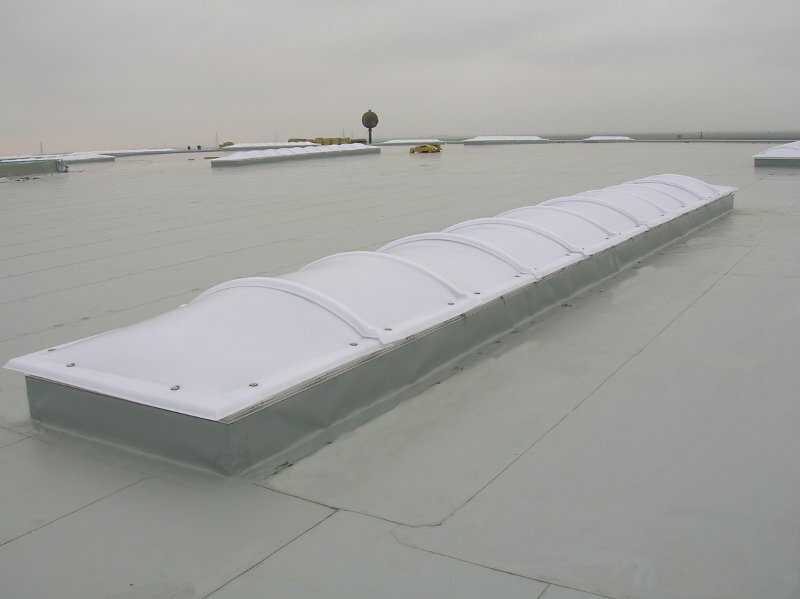 Skylights that we offer to our clients are several types, depending on the destination or the environment they are placed, either according to their cost. 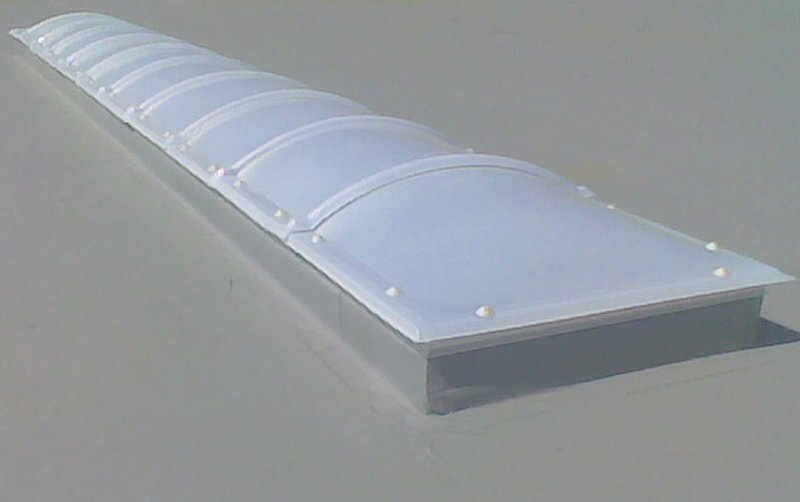 This type of skylights can accommodate up to a width of 3 meters and a theoretically to an infinite length because it is composed of two heads and a number of central modules, depending on the chosen length. 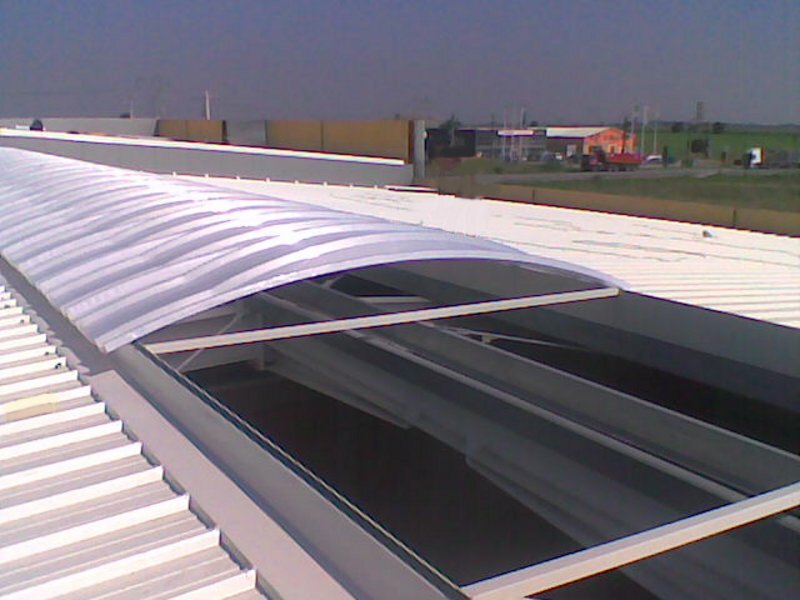 One advantage of this system it is that it does not need a supporting structure up to a width of a 3 meters because of its self-supporting feature. 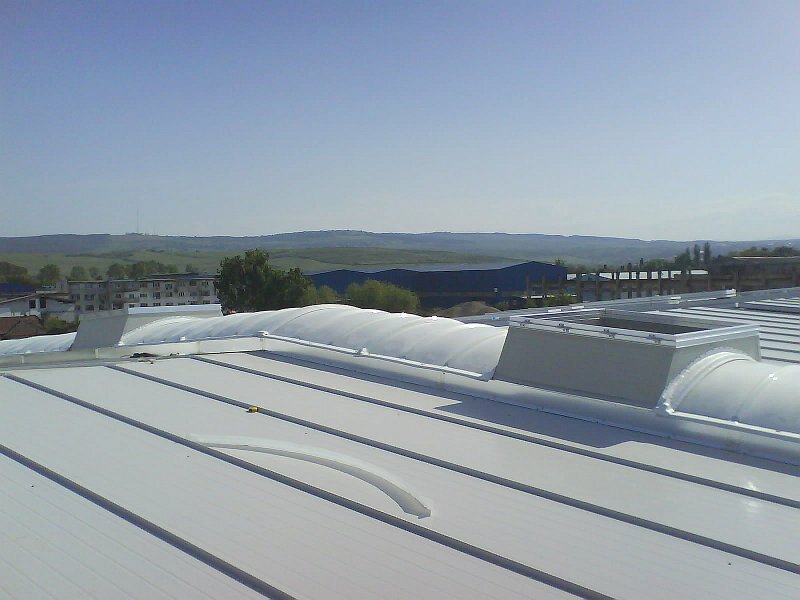 The settlement support or the settlement based of this system is chosen by the technical and design department of our company. 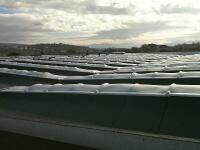 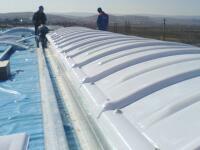 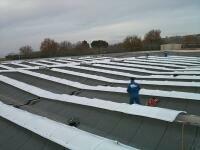 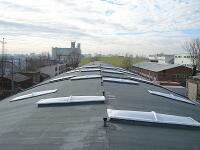 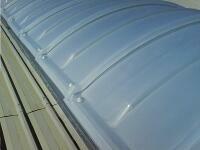 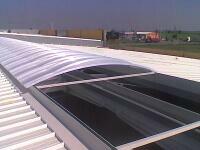 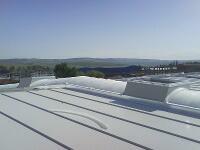 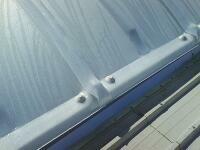 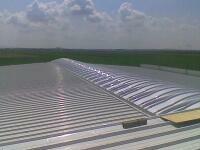 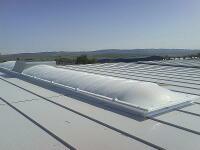 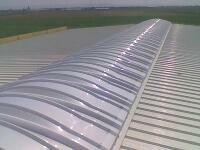 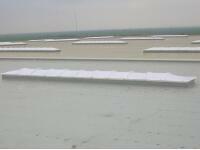 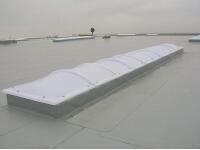 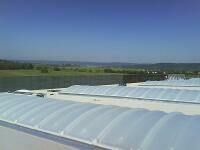 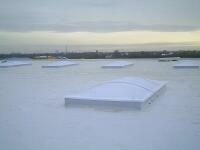 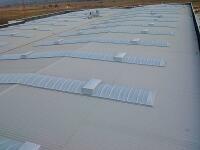 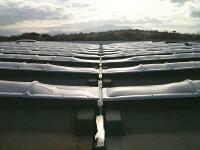 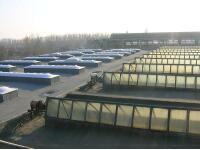 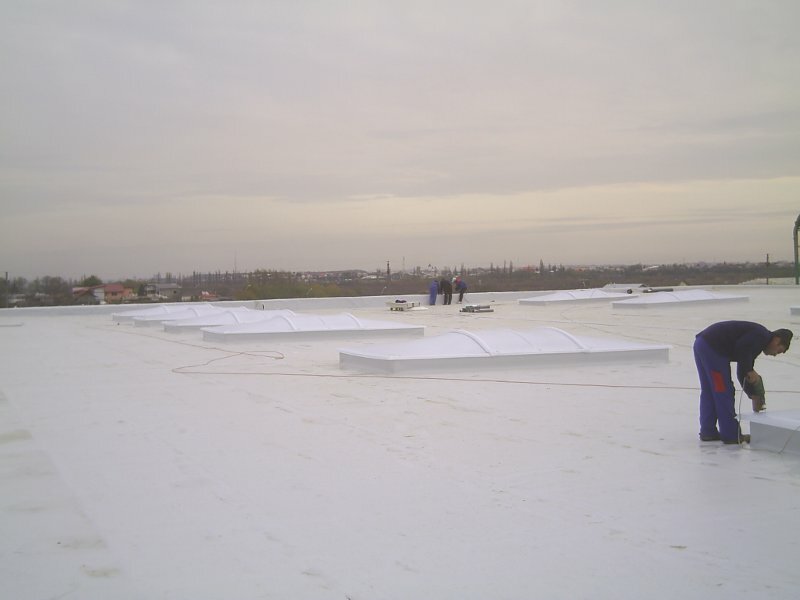 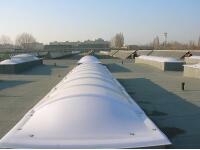 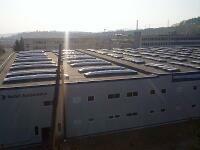 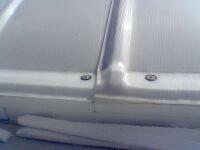 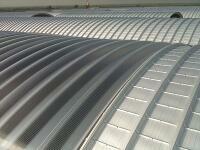 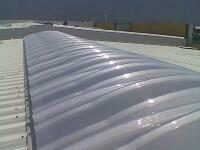 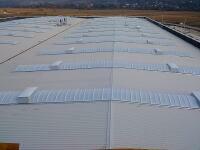 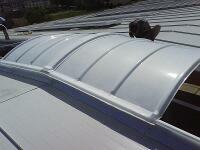 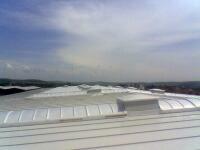 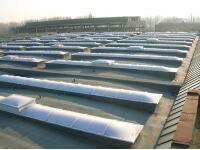 So we will provide the best solution for existing type of roof construction. 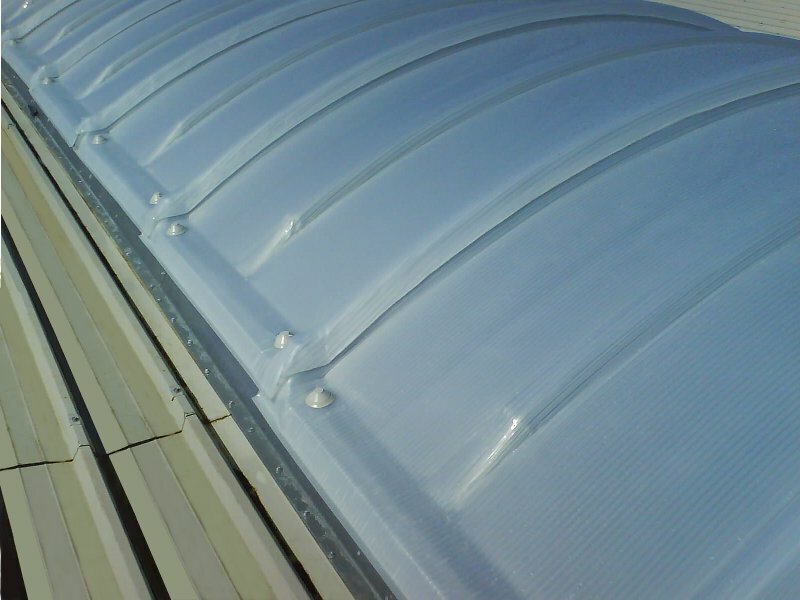 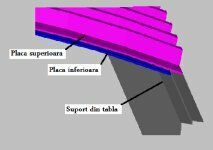 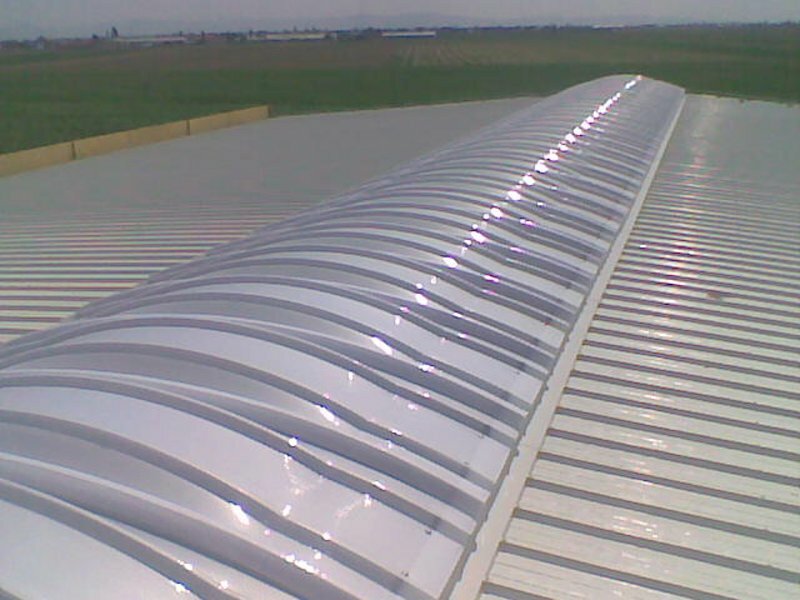 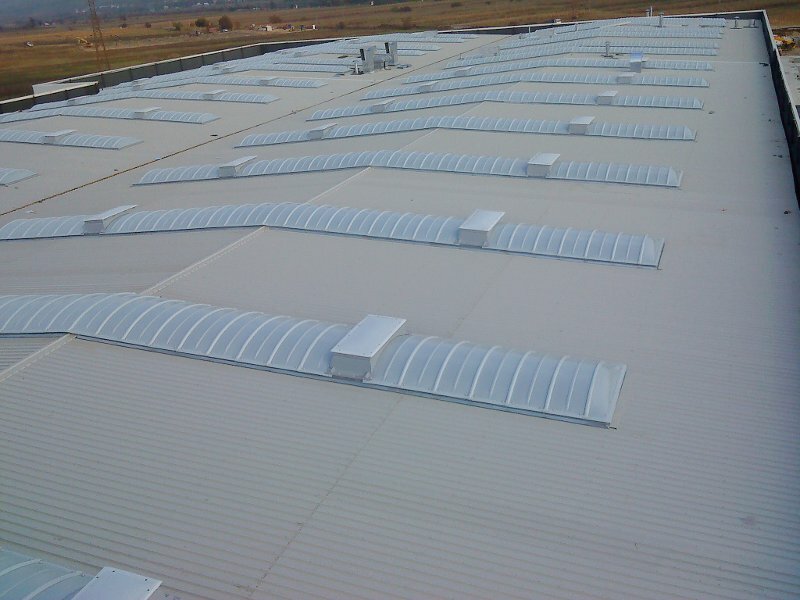 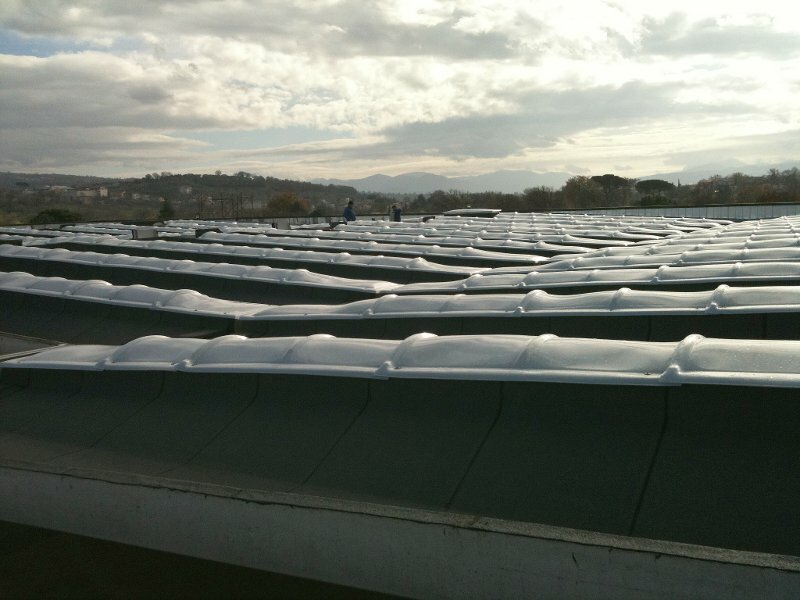 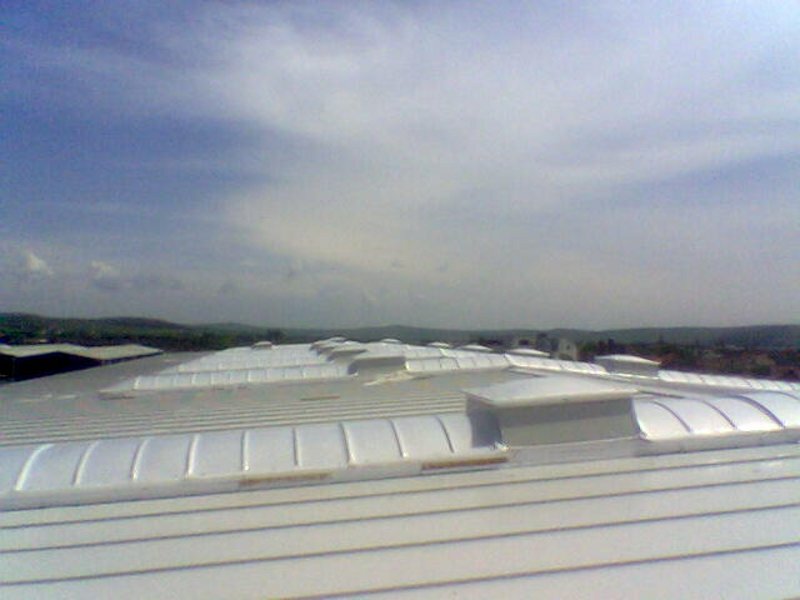 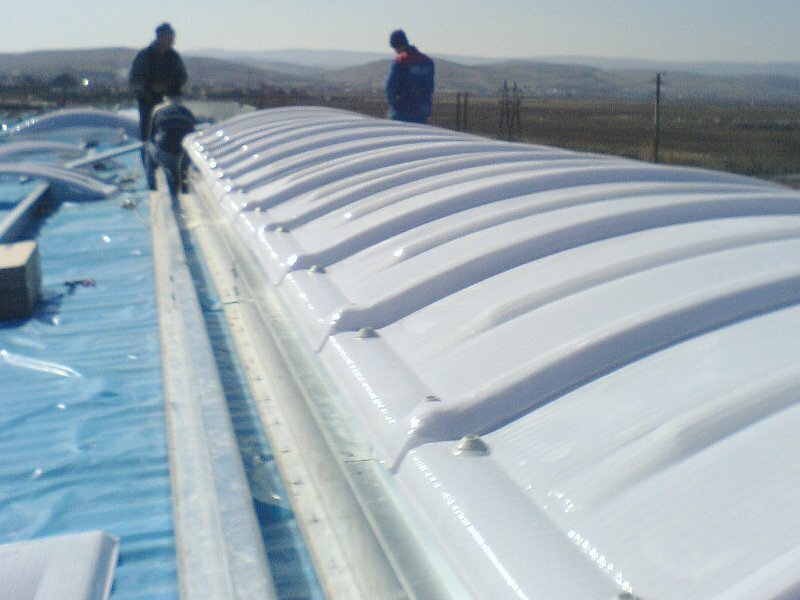 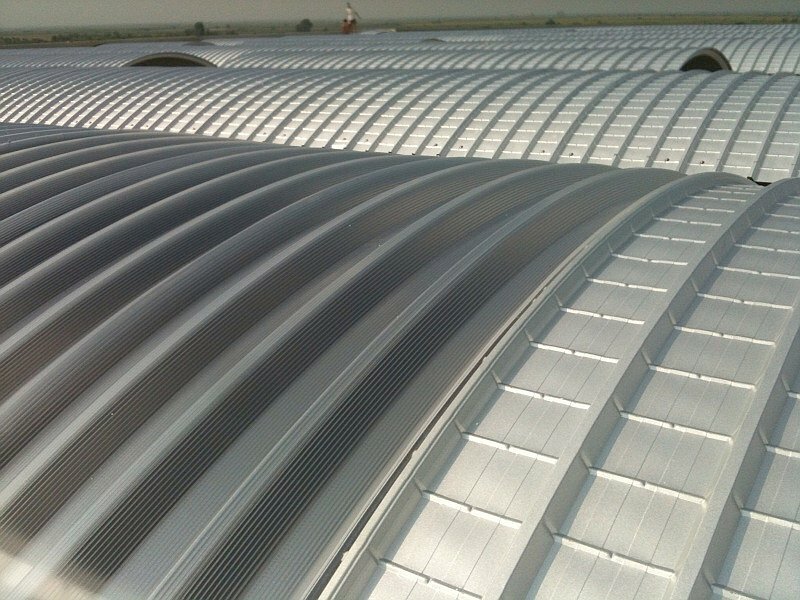 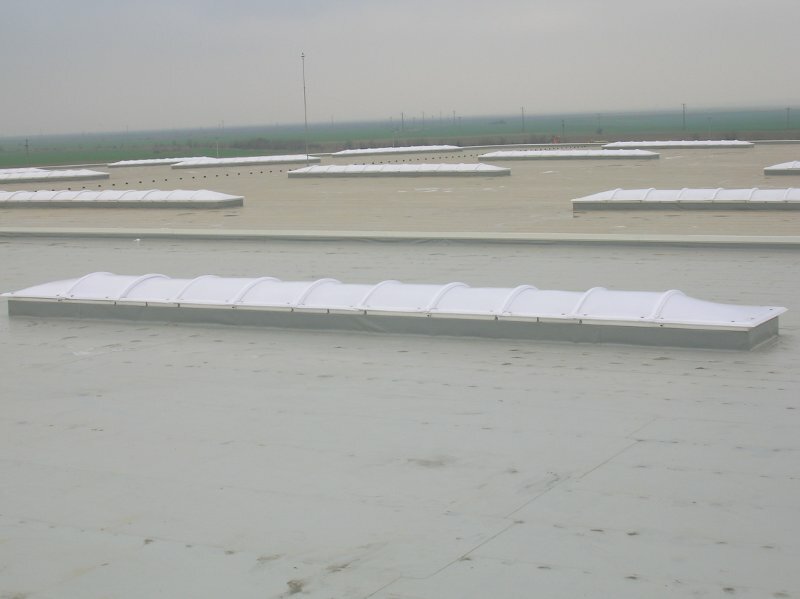 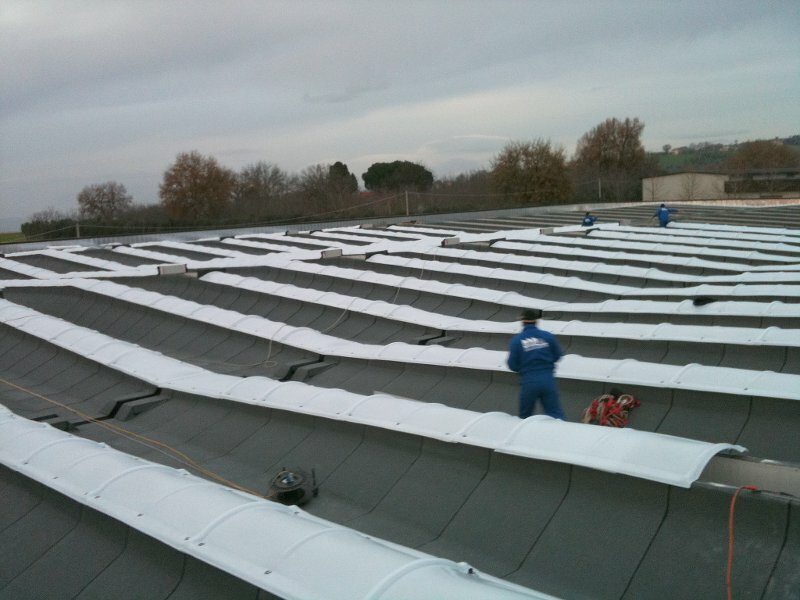 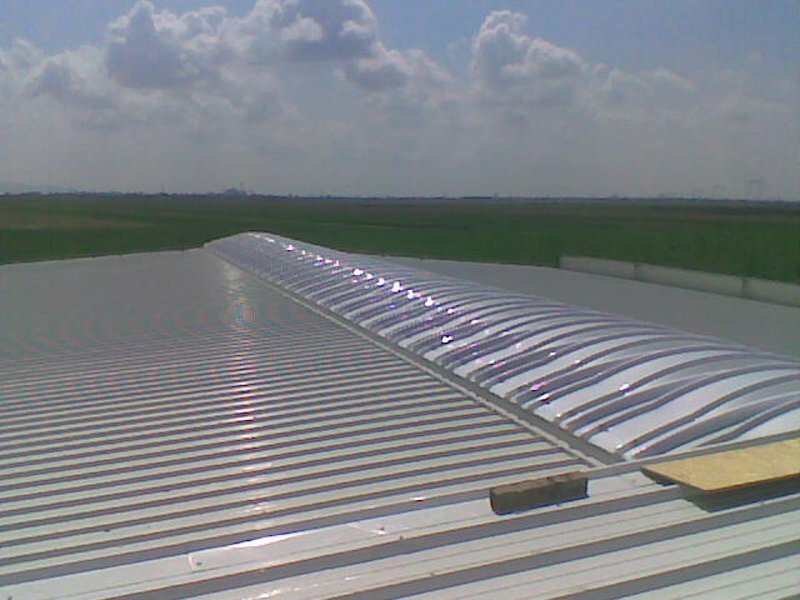 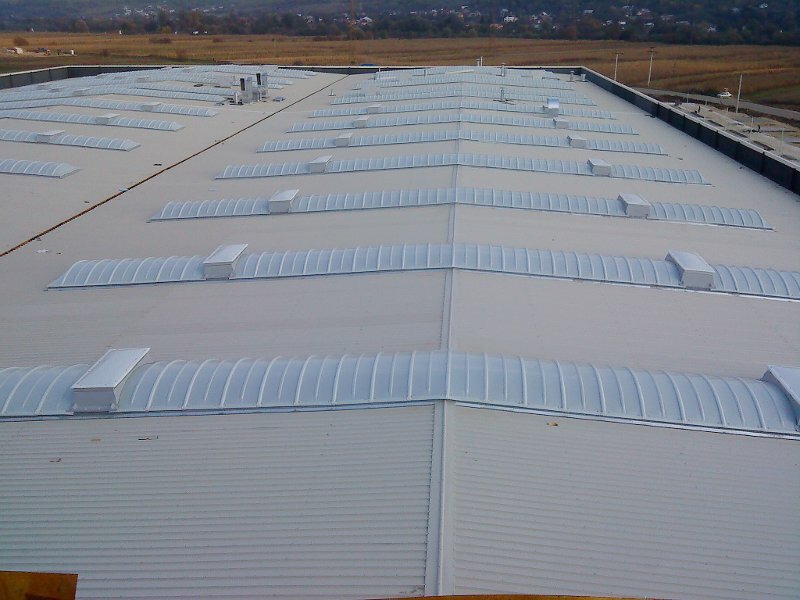 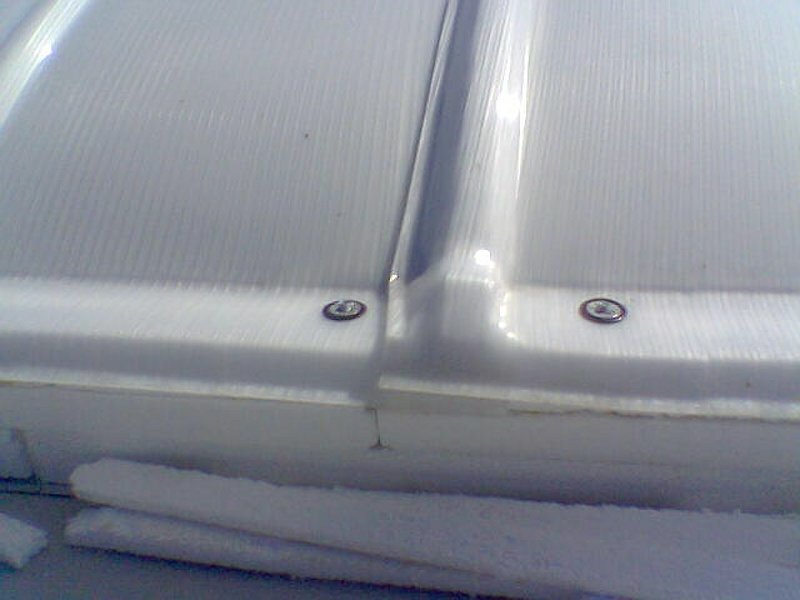 It may be made of galvanized sheets of different thicknesses, with or without insulation, of reinforced metallic structure and dressed with a waterproofing membrane, practically adaptable to any type of roof. Skylight is a system composed of polyester resin reinforced with plates of glass fiber, wrinkled and bent with a radius depending on the width of the skylight, also all self-supporting. 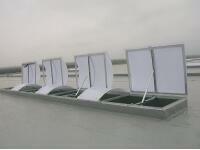 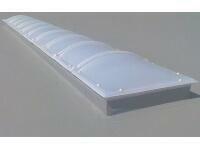 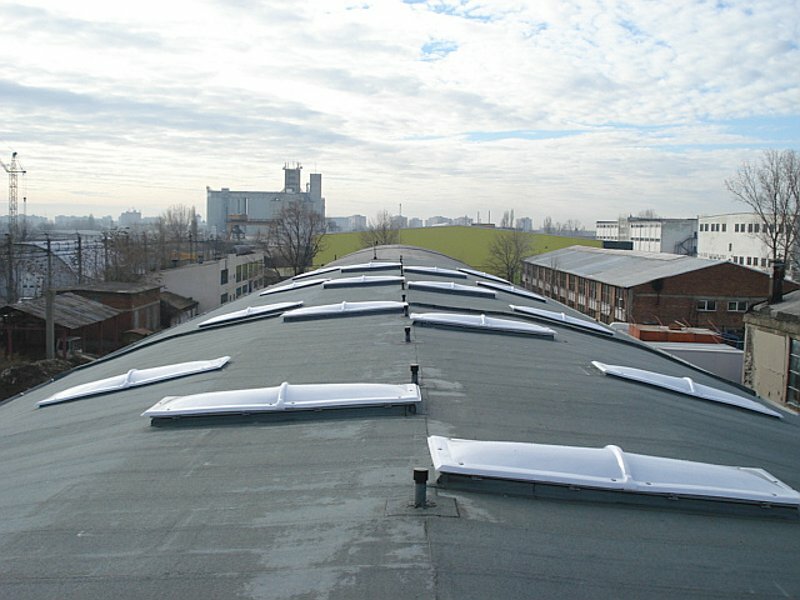 This system can be used with simple plate, when a high thermal insulation is not required , or double plate, i.e. 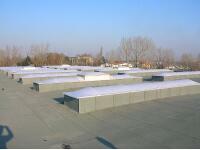 two overlapping plates stacked together, forming an isolation room that gives a high thermal insulation. 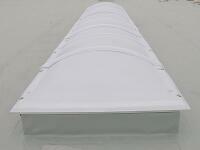 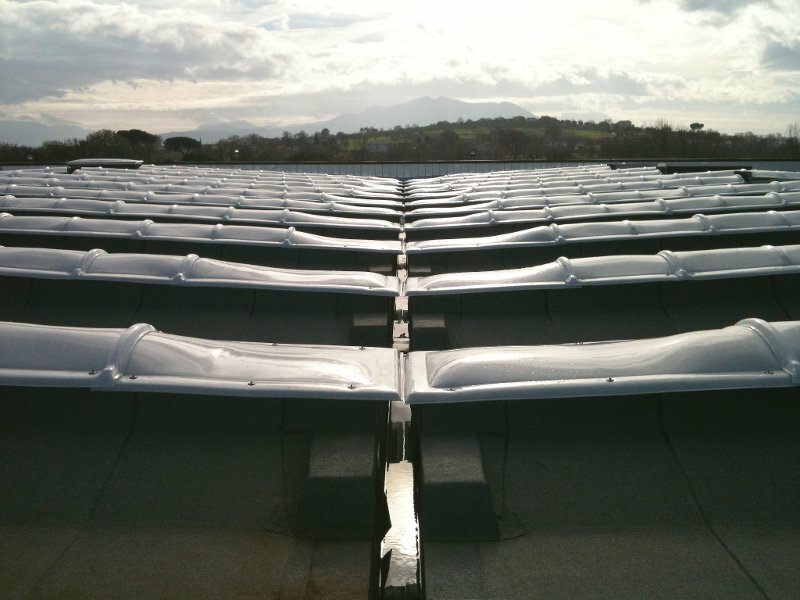 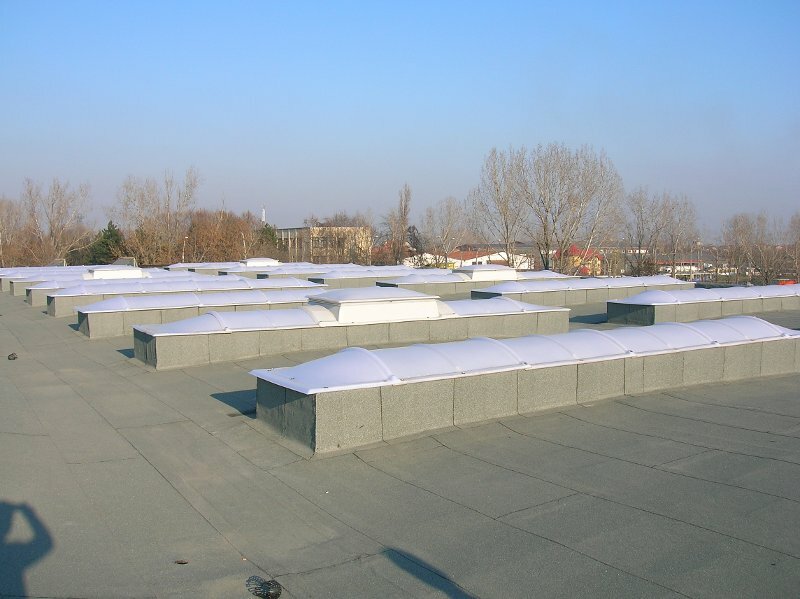 This system can be adapted to any roof, and, as appropriate, can fit in it, from place to place, borders from polyester resin reinforced with glass fiber that can be mounted daily ventilation hatches, smoke and hot exhaust hatches or both. You can download technical specifications PDF.